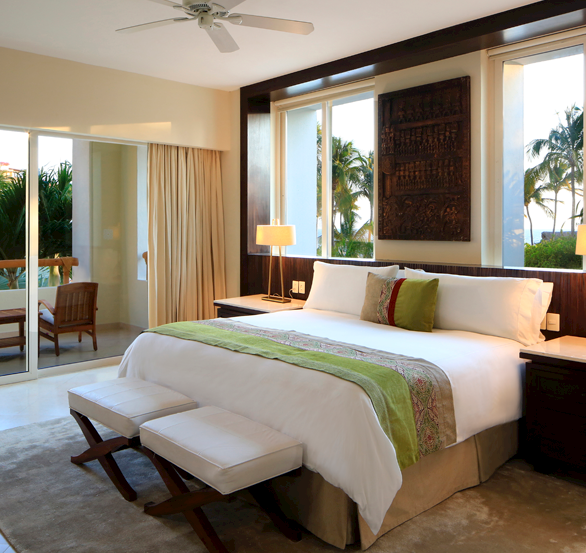 Embrace oceanfront luxury in our gorgeous suites, with private terraces with teak furniture imported from Bali and captivating ocean views. 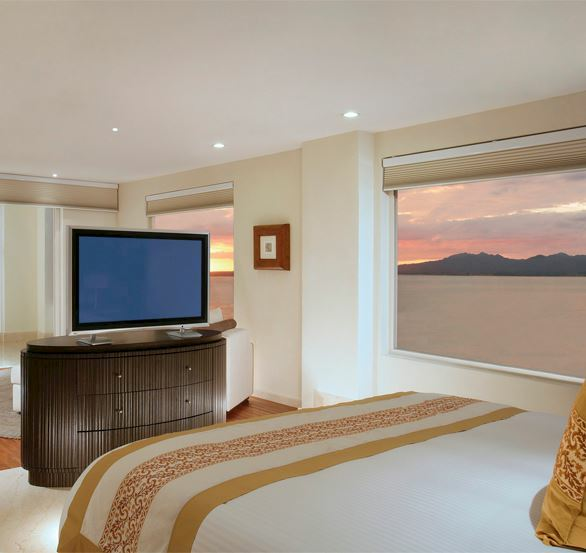 Experience coastal living with elegant bedrooms, dining and living areas, luxurious baths, and private spaces for spa therapies. The property, the room, the service, the food were all beyond compare. 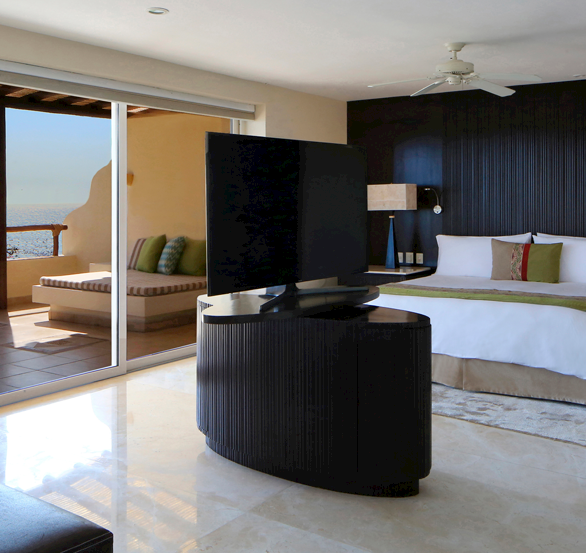 With stunning ocean and pool views, our beautiful Master Queen Suite wows with 1,000 square feet. 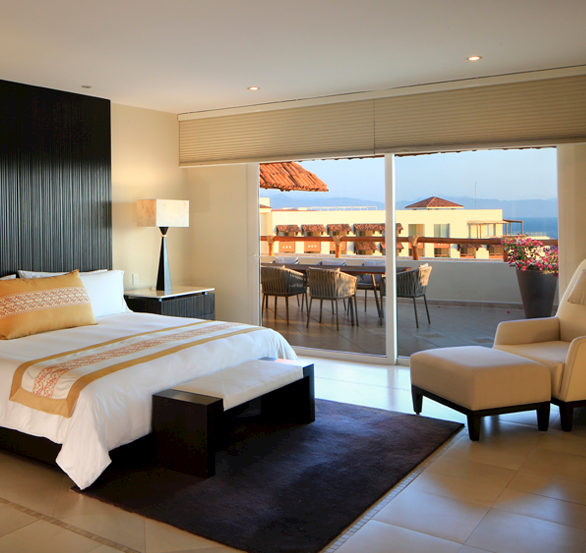 Indulge your senses in this beautiful suite with a private terrace, living and dining areas. Retreat to a spacious King Parlor Suite with 1,000 square feet of space. The perfect home-away. Just you, the sea and the horizon. 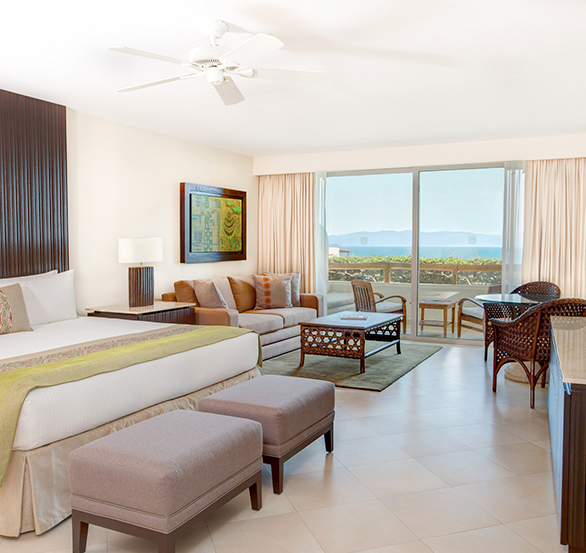 Our oceanfront Master Suite brings you right over the golden sands of Banderas Bay. 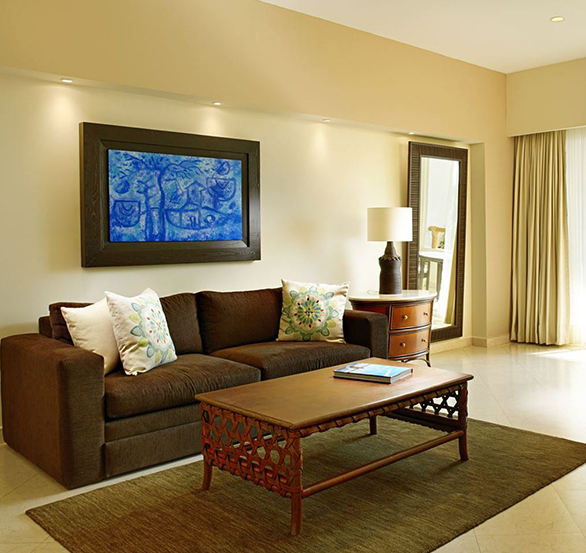 This stunning suite wraps you in luxury with a spacious bedroom and terrace with pool view. This two-floored wellness retreat features private spa spaces and fitness amenities. 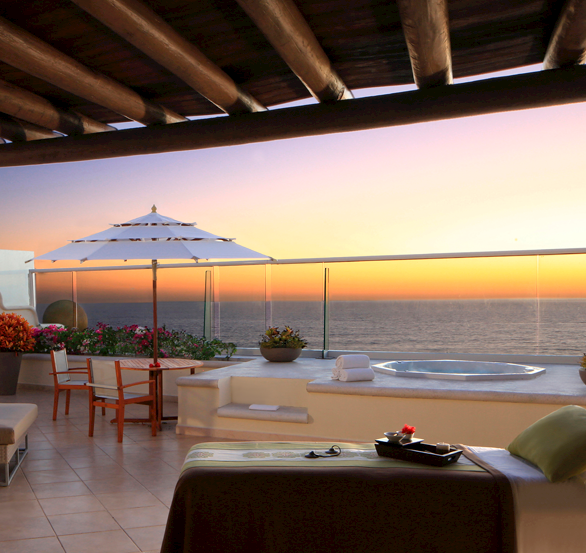 With luxury spaces, personalized service and ocean views, this suite is a true sanctuary. 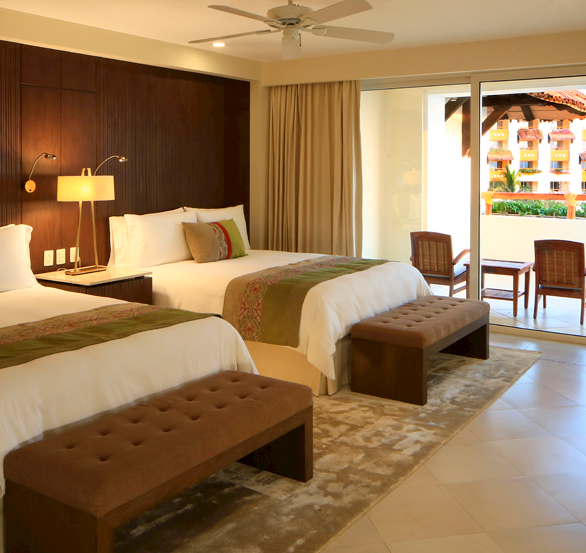 An oasis for families or small groups, our beautiful two-bedroom suites are the essence of tranquility. 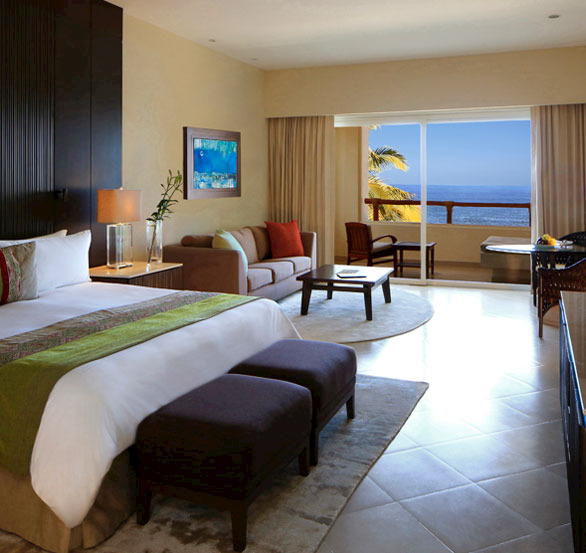 This two-floor suite invites you to embrace coastal living while soaking up incredible Pacific views. Refresh, reset and indulge in this ultra-luxe space, featuring fine art, contemporary décor and breathtaking ocean views.